Does your Dyson vacuum cleaner lack suction? If you have replaced the filters without solving the problem then cleaning the cyclone assembly may make a difference. 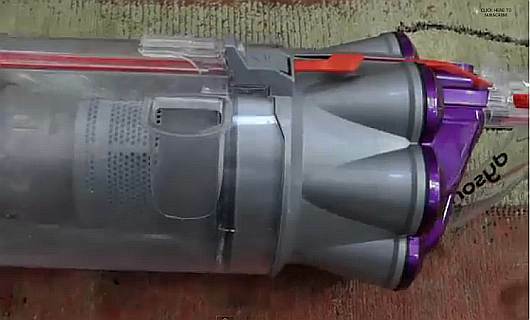 Below are two videos demonstrating the cyclone being disassembled and reassembled on a Dyson DC17 vacuum cleaner. The first video is short and silent, the second longer with a commentary. To take apart the cyclone on a Dyson DC17 you will need a star shaped Torx T15 screwdriver. If you do not have one of these they are available from Amazon and other specialist retailers. « What is inside a cheap wireless doorbell? Wylex plug in MCB fuse replacements, worth upgrading? So who makes Polaroid televisions?